Evergreen shrub in mild climates. Moderate growth. Wide open, pinkish-orange, hanging flowers bloom in spring, summer, and fall. 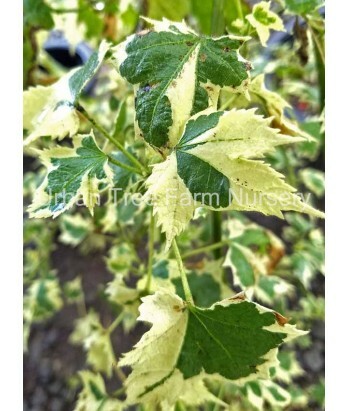 Soft green maple like leaves are splashed with creamy white variegation. Attracts hummingbirds. Moderate water needs once established.